Revolutionise the way you think about composting. Using an organic fermentation process, the Bokashi Bin recycles all your domestic kitchen waste into valuable soil conditioner. 20L capacity. Buying this product = 90 Reward points for Members. Your cart will total 90 points = voucher of $4.50. Not a Member? Join at checkout to claim these points. Dimensions: 30cm side x 30cm side x 41cm high. 20L capacity. It will fit in the cupboard under some sinks, depending on your space of course. This is a good unit for small spaces. You'll need two to get the system going properly. The drain nob came of and I was quickly sent a replacement. I've had this bokashi bin for about two years now and love the simplicity of it. I wanted a small-scale composter as I'm not a big gardener, just have small beds, but still wanted to produce enough compost and cut down on food waste going in the rubbish bin. 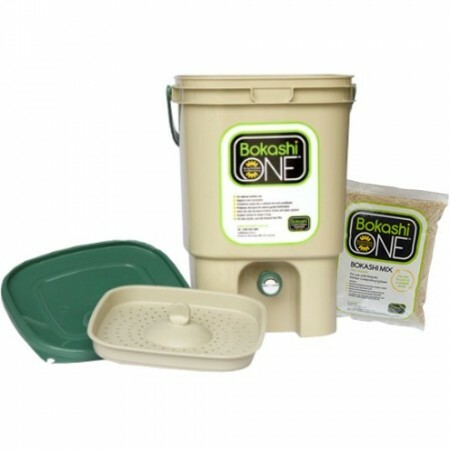 With bokashi you mash the scraps down to compact them - I generally only have to empty the bin once every four months, just dig it into the garden. It also produces compost juice which is a great liquid fertilizer. The bin is airtight so doesn't smell too much - I keep it in a cupboard anyway, and empty a small tabletop compost bin into it every couple of days. 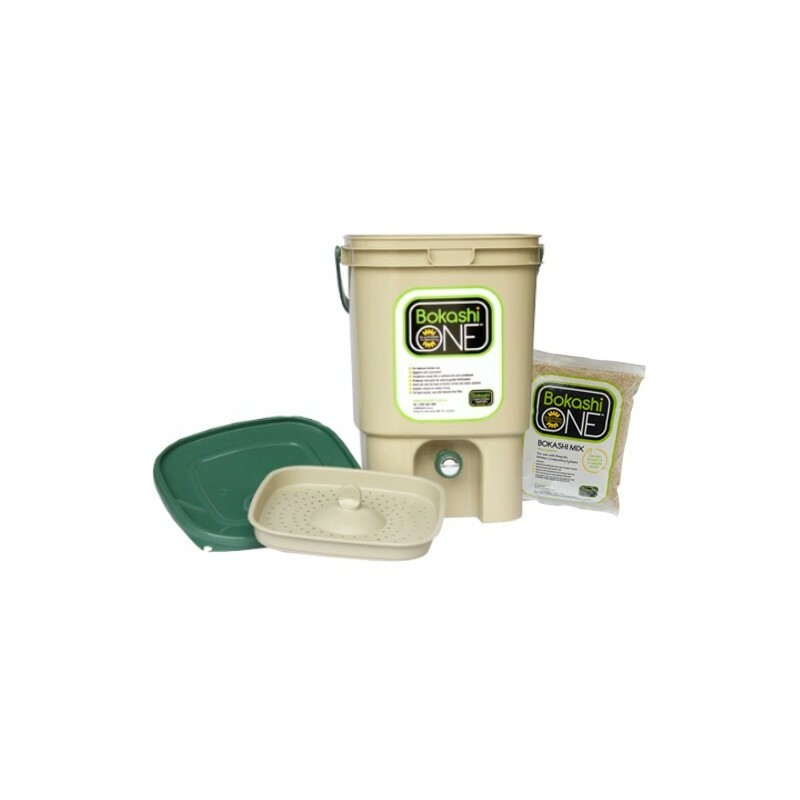 Very clean, efficient, and simple way to get into composting for a beginner! This compost bin has been a true blessing for our family. It didn't take us long to fill as we cook almost everything from scratch for our family and the compost product is wonderful for our home veggie patch.